In an article about Democratic Governor Hickenlooper’s participation at The Daily Beast’s “Hero Summit” (we know, we just choked on our Diet Coke, too), Hickenlooper discussed the upcoming vote on a tax on marijuana, Proposition AA. Here’s what Hick told ABC‘s Rick Klein and YahooNews‘ Olivier Knox. The only problem? Actually, Proposition AA does benefit schools. In addition to the 10% sales tax that the governor, apparently, is aware of, this proposal includes a 15% excise tax that would go toward school construction. The first $40 million of the excise tax will go toward the Building Excellent Schools Today program, which provides grants for construction and renovation of schools. Even the AP‘s Kristen Wyatt noted the governor’s mistake. Oddly, Hick seems to almost scoff at putting sin tax revenue toward public education. So, that’s a ridiculous idea, but asking Coloradans, who are already struggling, for another billion dollars in tax revenue for public education is completely okay? All to pay for unfunded teachers union promises and administrative bloat. Maybe he doesn’t recognize the strain that this will put on Colorado’s families. 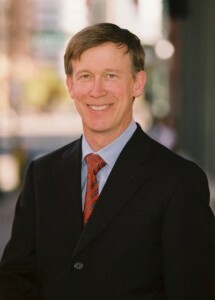 Once again, Governor Hickenlooper proves just how out of touch he really is with Colorado. This is part of an effort to distance himself from the marijuana industry to people outside of Colorada and he considers running for President in 2016. He also manipulated the research to justify eliminating use of the flag as part of the state logo for the same reason. The flag is public property and cannot be trademarked. The green triangle can and is trademarked, and will not be available to this "federally-illegal" industry. The real audience is people outside of Colorado that he wants to move here and stimulate the economy. The initiative could have had tremendous value in terms of a buy-local campaign. Shouldn't that have been the point? Somebody needs to call him out on this because he's painting two different pictures of himself around the marijuana industry and confusing/upsetting everyone in the process. Will Republicans stick to their principles and vote against this extreme tax? It's amazing how well the corporate media billionaires program the language we use to discuss politics. They've never known what they were talking about, it's just that we can now easily access the information necessary to expose their ignorance. Why do we need taxes anyway when we can raise fees FASTER to get the government our money FASTER to do anything they want? If it can fix roads FASTER it can regulate Marijuana FASTER on the backs of those who sell and use it…after all ALL MONEY IS GOVERNMENT MONEY and they just allow us to use some of it for a little while. Sorry to sound so cynical but the Washington strain of the spending disease is at epidemic proportions and seems to be spreading this way. I really liked the part of the law that specs the tax at 3.5% but allows raising it to 15% without further votes, discussion or anything. Why didn't they call it what it is- a 15% tax – right up front? Because most people wont read more than the first sentence! So why do we need to regulate it anyway? It was such a wonderful idea "we" made it legal without putting any regulation on it to start with! Why are we voting on this when we have given our legislature the power to tax us and regulate everything they want to anyway? Oh yeah! Mr. Bruce pointed out that our legislature might run amok and raise taxes we didn't want without asking us! And we agreed with him! An elected official that doesn't have a clue what the "f" he is talking about, how has that become the rule and not the exception? Geeze, he *is* out of touch. The normal liberal song that goes with ANY tax is always "do it for the children".